Since updating to 3200, ST will crash when clicking on a file to preview from the tree. Happens after some period of time. I’d say roughly an hour or so. I’m on a mac. Mojave. My use case is slightly odd in that I’m using MacFuse to mount a jail on our VPN and then opening those mounts in Sublime. If it is the case that a package is causing the crash, the idea of slowing adding each one back in to figure out which one is causing it is not a road I’m too excited to go down. Is there a way in user land to get debug info in order to trouble shoot this faster? 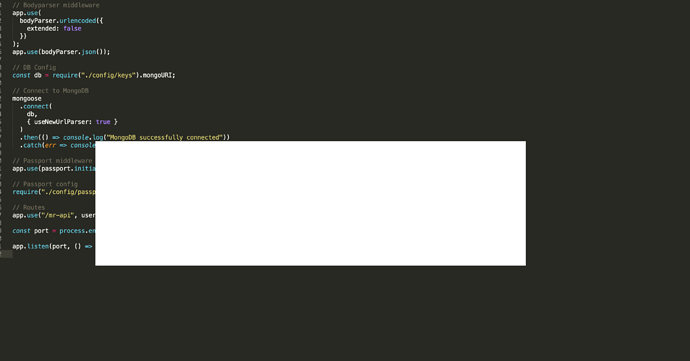 Found Sublime Log which saves everything logged to the console in Sublime. Sadly, Sublime dies silently. Nothing gets output to the log before Sublime decides to eff-off. So Sublime Log is useless to try and trouble shoot this. A Coworker of mine just had his Sublime 3200 crash as well. The one package that we have in common is TypeScript. Waiting for next crash and then I’ll try removing that. Just installed 3206. The crash tends to happen after about a day a half, so I’ll report back in a couple of days. Thanks. Just crashed using 3206. Removing TypeScript package. Hello, I’m also experiencing this issue (version 3206, and past two updates - OSX). I am unsure what is going on. But after 5 minutes or so, SublimeText3 freezes consistently. I can’t do anything with it, and need to Command+Q it then re-open it. I have gone so far as to completely uninstall it (deleting files in Application Support folder) and running it clean (no added packages). But, even after that, it continues to freeze on me. occasionally I do see an empty white box on screen. Your situation doesn’t seem related. Yours almost seems like an issue with your graphics card switching from integrated to discrete, assuming you’re on a Macbook. I just tried force switching mine using gfxCardStatus.app to see if it would reproduce your issue, but it didn’t. There have been a whole bunch of crashes with macOS 10.14.4 and NSOpenGLView. We’ve mitigated some of them, but there are still plenty happening. If you could try changing the setting gpu_window_buffer to false in your Preferences, that can help ensure it isn’t this bug in macOS that is leading to the crashes. Thanks guys. I believe you are correct, I turned Automatic Graphics Switching off, and it seems to be stable. Messing with gfxCardStatus a few times will make it freeze. Sublime 3206 still crashing after removal of TypeScript. One thing I’ve noticed is that it tends to crash often when clicking on a file in folder tree. SideBarEnhancements package? I’ll try removing it now. Have you tried setting gpu_window_buffer to false? There have been all sorts of crashes and memory leaks reported with 10.14.4, and almost every one has been solved by changing that setting. Build 3207 Mojave keeps "going missing"
Have you tried setting gpu_window_buffer to false ? There have been all sorts of crashes and memory leaks reported with 10.14.4, and almost every one has been solved by changing that setting. I haven’t yet. I’ll try that next, although I am still on 10.14.3. I hope I’m not speaking too soon, but SideBarEnhancements package seems to have been the culprit for me. Yup, I spoke too soon. Just crashed. Will try the gpu_window_buffer now. I’m on Windows and experienced the same thing. Do you have JsPrettier installed? I found this to be the culprit in my case. I don’t have JsPrettier installed. Still crashing after configuring gpu_window_buffer to false. I’ve had the crash happening with no plugins installed (completely reset Sublime). Have bounced back to 3.1 because 3.2 was unusable and too frustrating! I trued the gpu_window_buffer and it didn’t seem to make a difference to me either. Nothing in logs etc. This seems to be my experience as well. I decided to just rename my Packages folder to test ST at a default state and after 2 days of running it just crashed. I think that’s about all the troubleshooting time I can spend on it. Gonna roll back to 3100. Sorry I couldn’t be of more help, @wbond . If there’s anything else you can think of, please lemme know and I’ll give it a shot.